Home Car News Industry News Ford Why is new 2015 Ford Mondeo so late to launch? Why is new 2015 Ford Mondeo so late to launch? The new Ford Mondeo was first shown as a US-spec Fusion at the Detroit motor show in January 2012 - and is only just being launched in Europe now, nearly three years later. Does this make the new 2015 Mondeo out of date before it’s even arrived in UK showrooms? To find out, we asked the top brass of Ford of Europe to explain the delay and tell us what the hold-up means. So why is the new Ford Mondeo nearly three years late to launch in Europe? The Mondeo was delayed while the Blue Oval focused on balancing the supply and demand of its industrial footprint. This was vital to stem the flow of red ink - European losses ballooned to a colossal $1.6 billion in 2013. ‘The tough restructuring decisions Ford made in 2012 reduced our installed vehicle assembly capacity in Europe, excluding Russia, by about 18% or 355,000 units,’ said Uli Koesters, Ford of Europe’s vehicle line director. ‘In 2012, our installed capacity utilisation was below 70% in Europe, excluding Russia. What does the delay mean to the Mondeo? Koesters is adamant that the hold-up has in fact improved the Mondeo’s readiness for European launch, rather than pushed the car beyond its sell-by date. ’It is important to note that in Europe we will ensure a robust high-quality launch of two additional body styles (the five-door and the wagon) which requires some additional time to refine,’ he said. And how is Europe’s 2015 Mondeo different to the US Fusion? There’s no arguing that the fundamental architecture of the Mondeo is arriving nearly three years late. 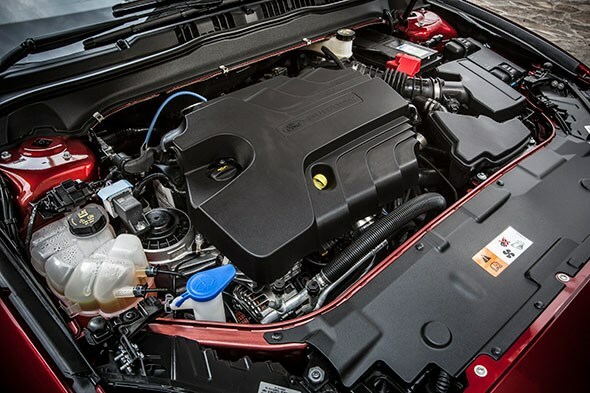 But Ford of Europe’s vehicle dynamics manager Geert van Noyen argues that the delay allowed Ford to fine-tune the new Mondeo for regional differences. ‘The all-new Mondeo is a brand new car to customers in Europe and we think it looks great, even after the new face of Ford debuted on the Fusion,’ he told CAR. ‘The car will arrive in dealerships in all body styles across Europe from November 2014. ‘In the time period between the Fusion launching in North America and the Mondeo launching here in Europe, Ford has added significantly new features the car that would not have been available previously. 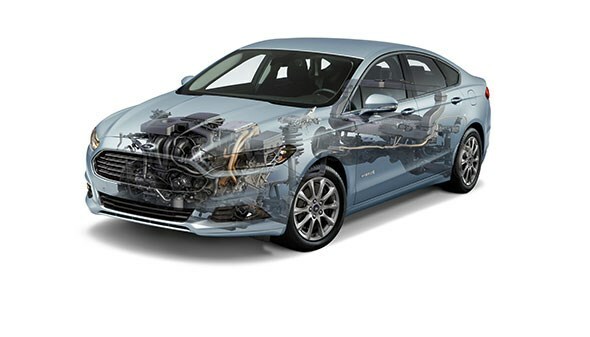 Pre-Collision Assist with Ford’s first global application of Pedestrian Detection technology is a key example of this, and we have done extensive work on the dynamics of the new Mondeo compared to the Fusion. 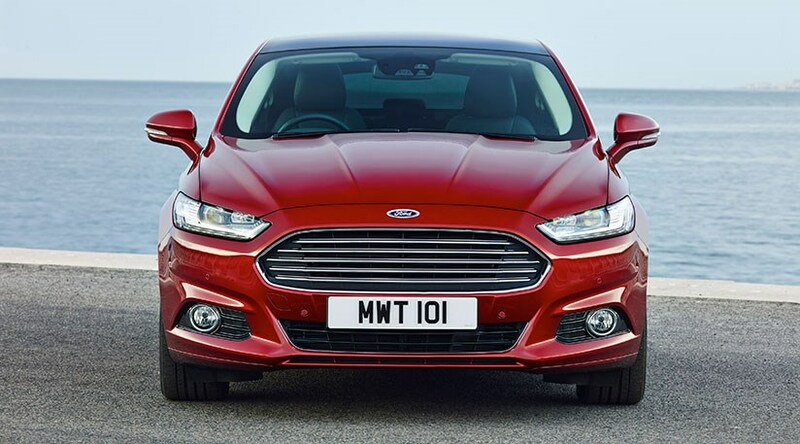 Click here to read our guide to the new 2015 Ford Mondeo.